The Resuscitation Council (UK) is the medical charity that produces the official UK guidelines for CPR that are followed by the NHS and all first aid charities. Working with the creative team at UNIT9, LIFESAVER – a revolutionary new way to learn CPR – application is now available on mobile, tablet and android. LIFESAVER is a crisis simulator, which fuses interactivity and live-action film to teach CPR in a new way, on your computer, smartphone or tablet. And it’s completely free. 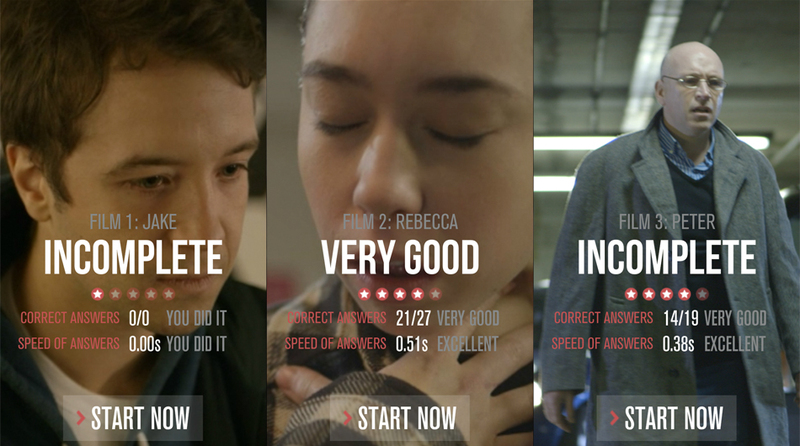 Lifesaver users are required to react within a given time to three intense simulations, presented as short films. Users’ effectiveness, consistency and ability to perform CPR are evaluated at the end of the experience. Users can also track and share their scores through social platforms such as Facebook and Twitter. One of the leading characters in Lifesaver that users interact with, Daisy Ridley, a star of upcoming Star Wars 7. Examples of copy from the app can be found below.